Last month a shocking story gained little traction in the mainstream press, despite its horrific implications and brutal reality. A report from Iran emerged which detailed how every male from a village in the province of Sistan Balochistan had been executed. 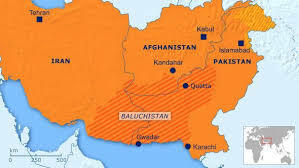 The Baloch, an ethnic minority in both Pakistan and Iran, continue to face systematic repression in both of these countries, yet remain largely ignored in both the East and the West. Simply having their voices heard remains a major struggle for this stateless population faced with poverty, violence and discrimination. The majority of those executed in the province faced drug charges, and often receive convictions without access to counsel or proper due process. Iran’s use of the death penalty in such cases is illegal under international law, yet the practice not only continues, but is actually funded by the United Nations and European countries. "It has never been considered, even outside Pakistan, that Balochistan belongs to the Baloch people who are now hunted. Baloch leaders are being deliberately assassinated by the occupying state of Pakistan for demanding rights to their own land."